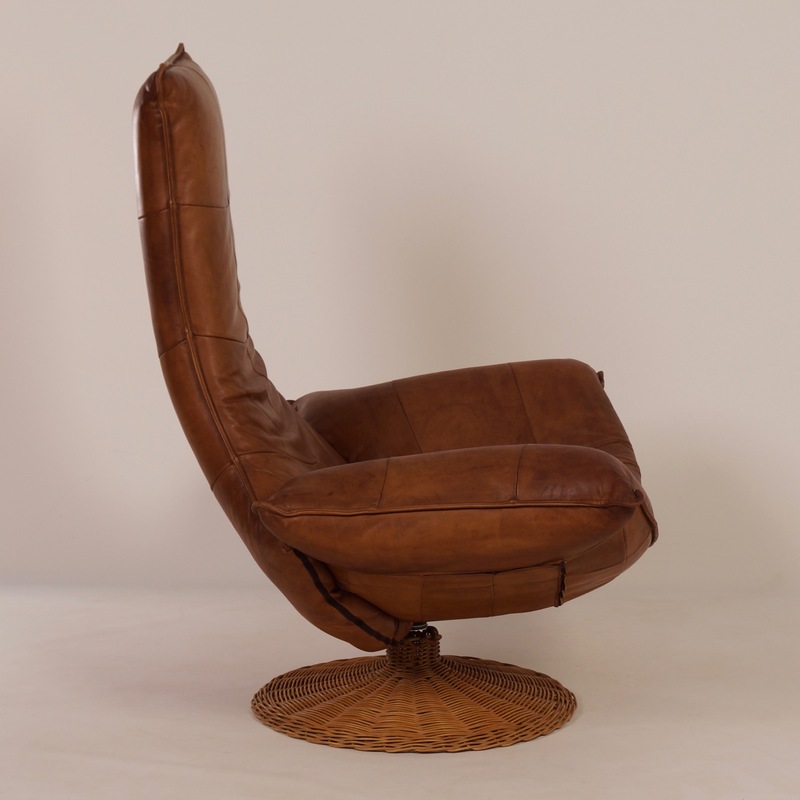 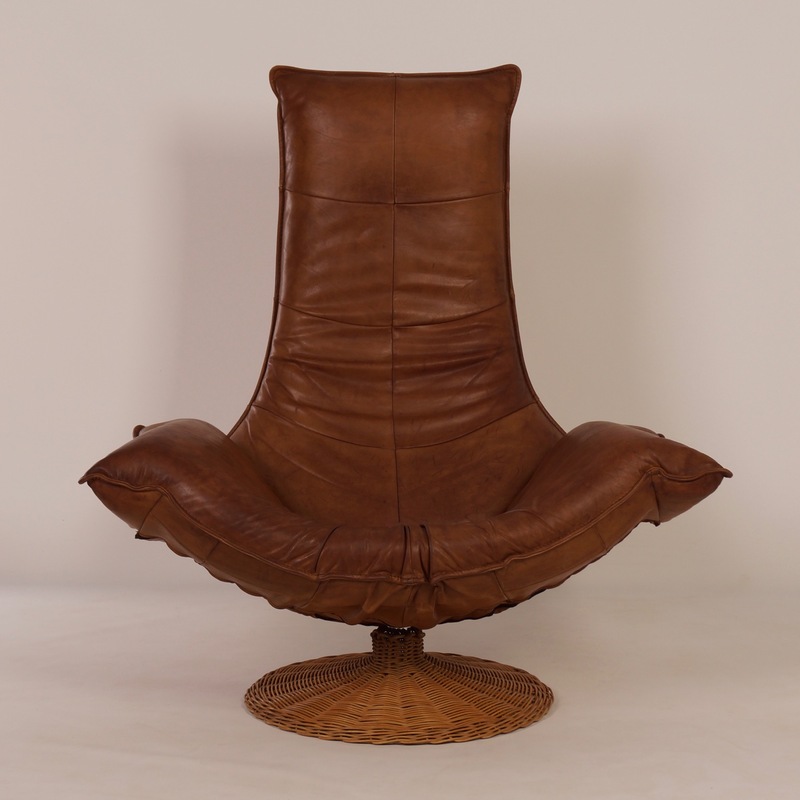 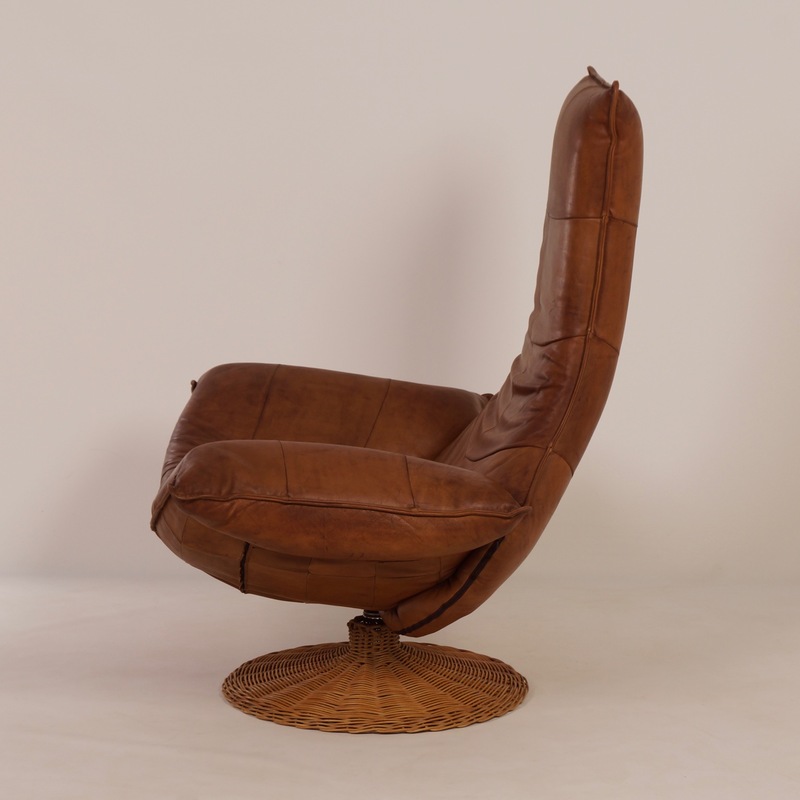 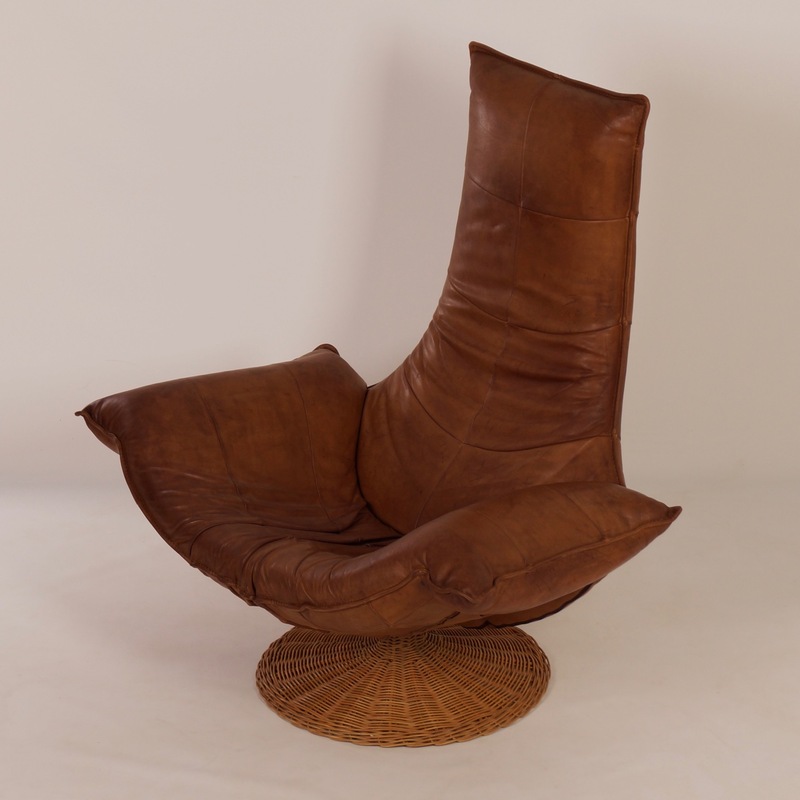 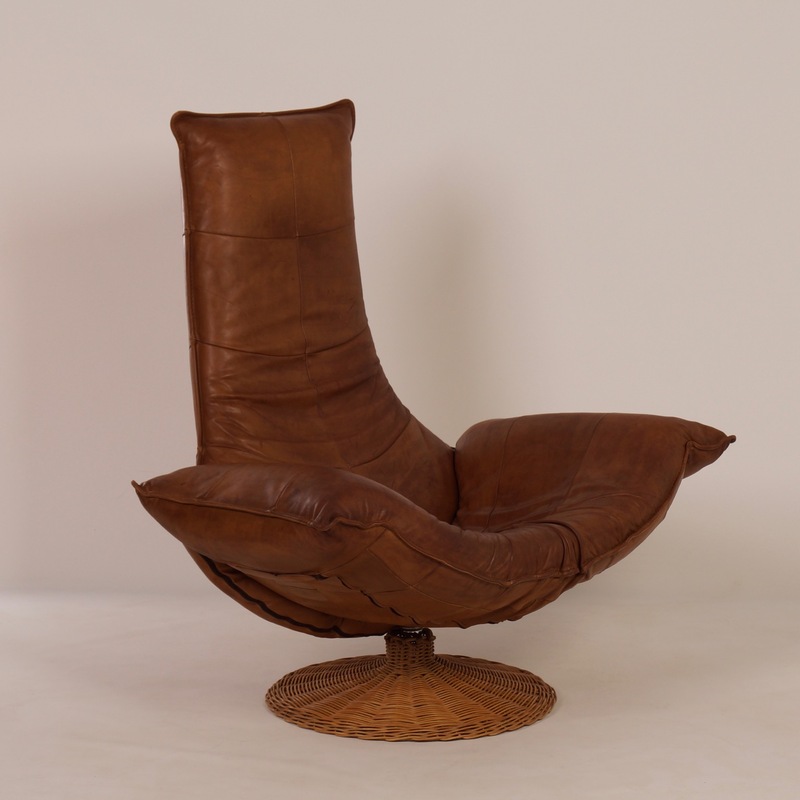 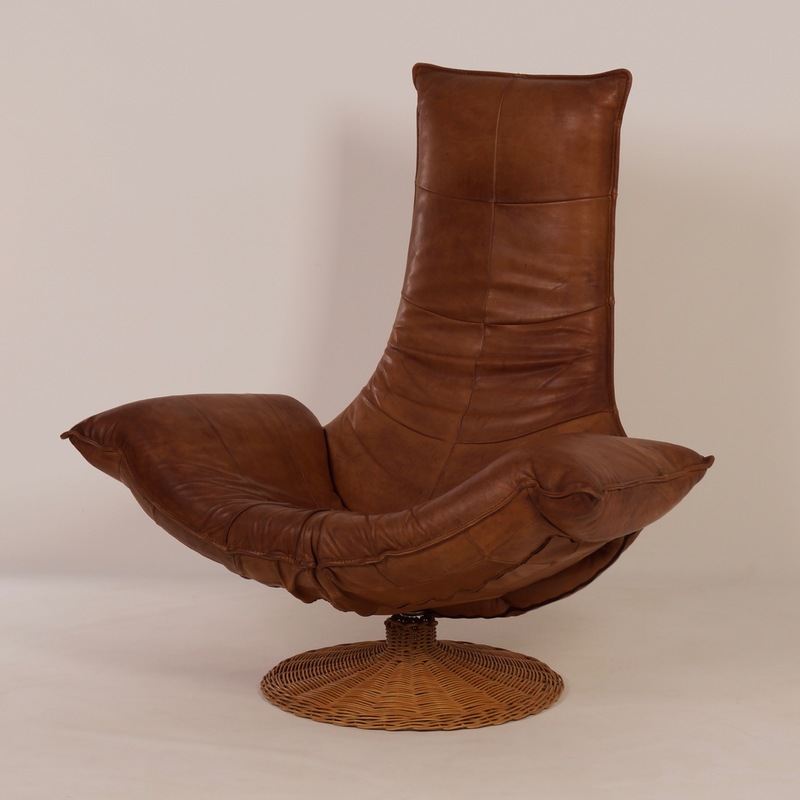 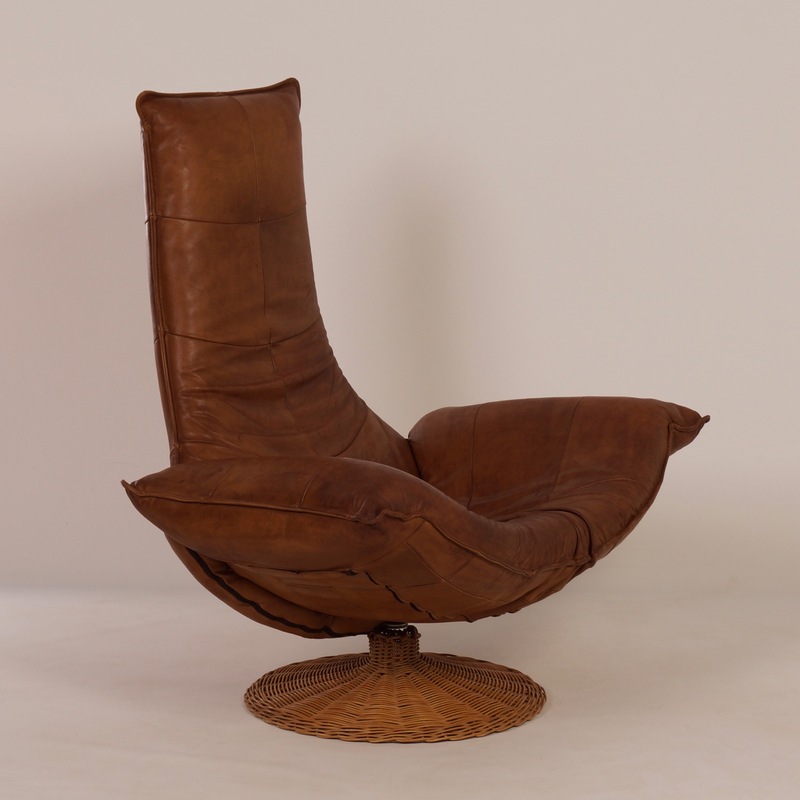 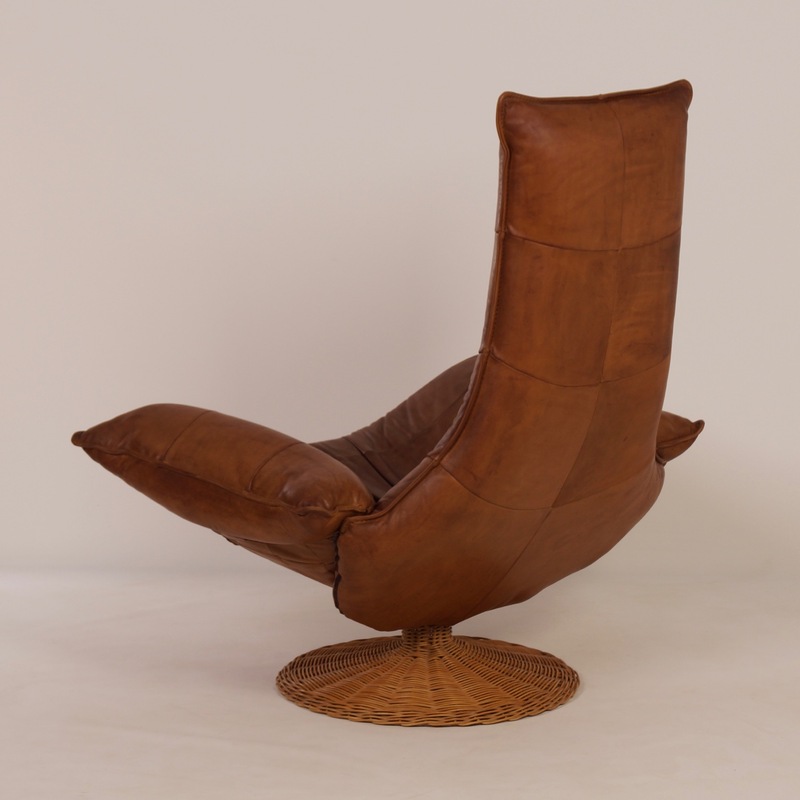 Wammes lounge chair in brown leather designed by Gerard van den Berg for Montis in around 1970. 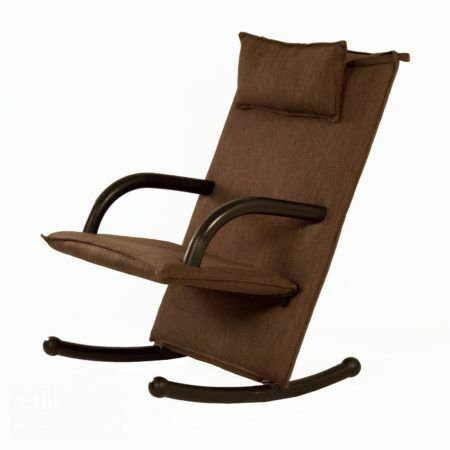 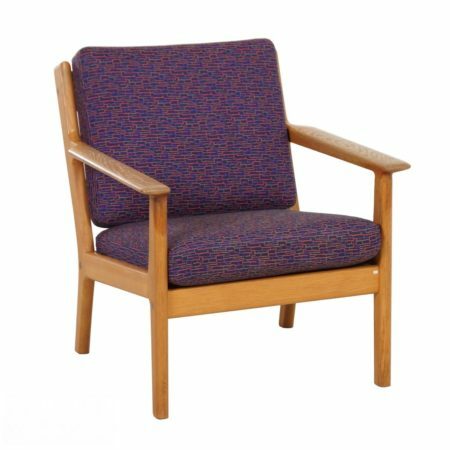 This easy chair is very comfortable to sit in and also a real eye-catcher in your interior. 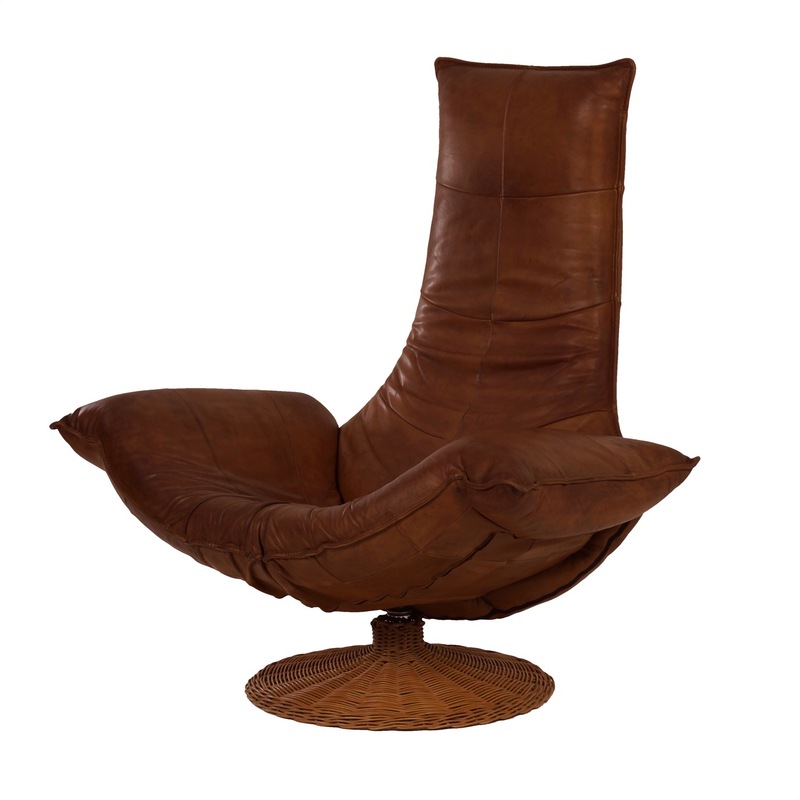 Material: leather, metal and rattan. 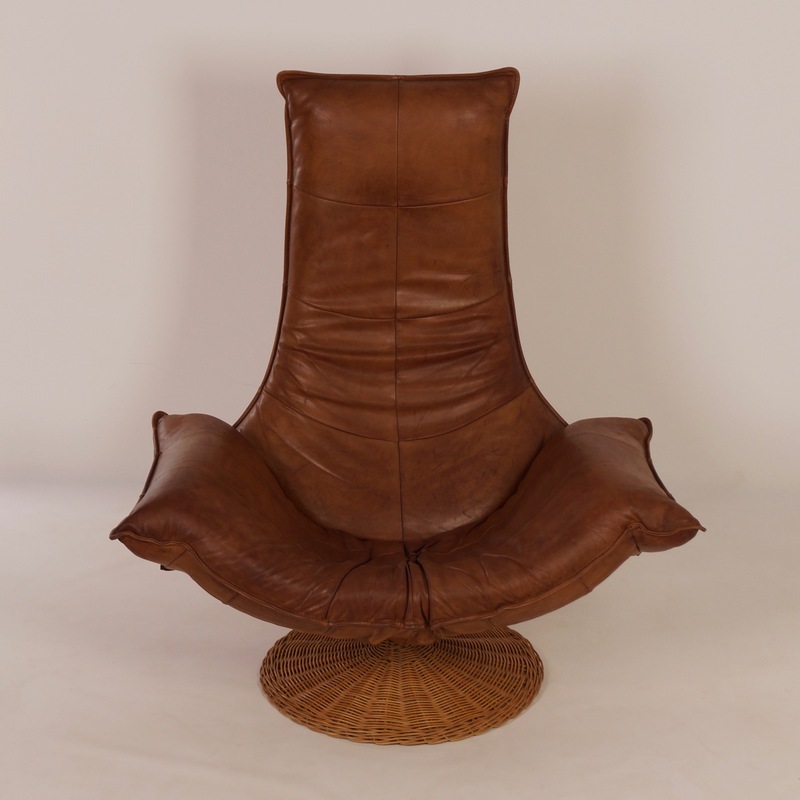 Considering its age this easy chair is still in original and very good condition, nice patina, no cracks, stains or repairs to the leather. 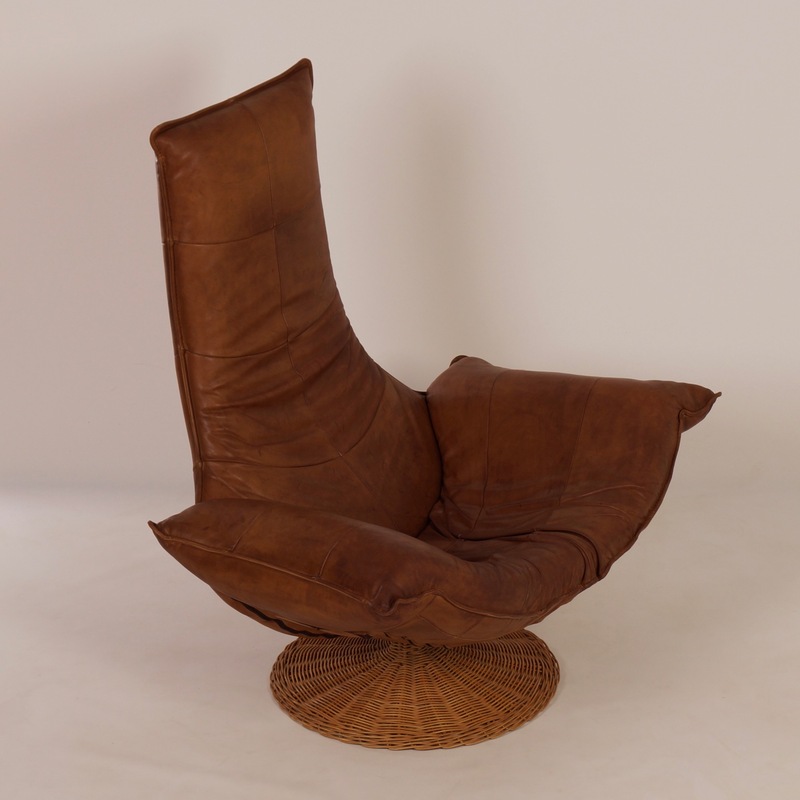 Dimensions: h x w x d = 116 x 114 x 92 cm. 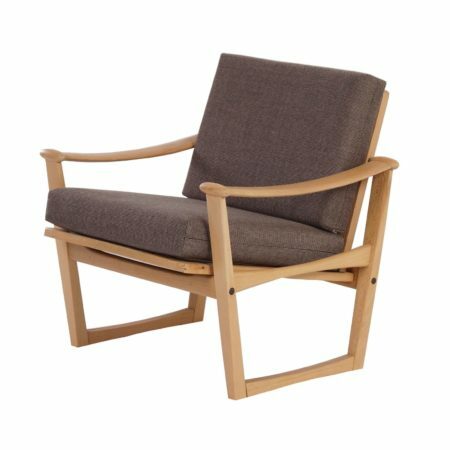 The seat height is 42 cm. 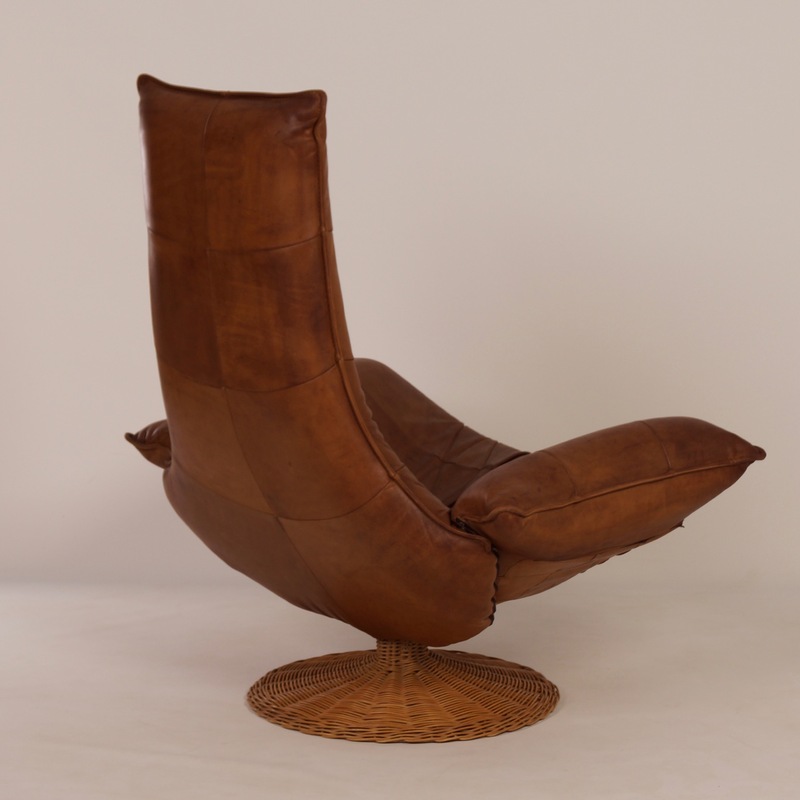 Gerard van den Berg was awarded the prize for the best Dutch furniture design in 1997. 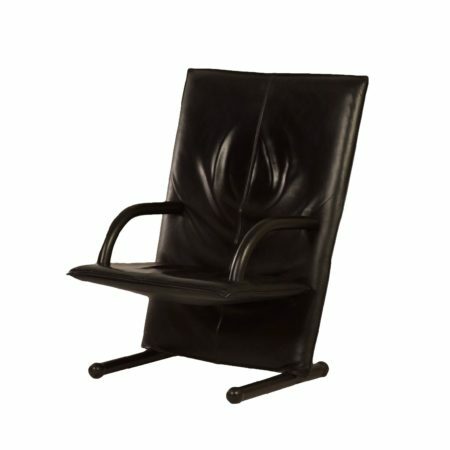 He also won other prizes.